The Unit of Innovation and Entrepreneurship (MO.K.E.) 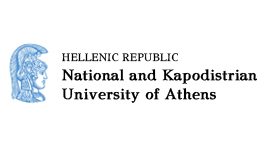 of the National and Kapodistrian University of Athens aims to the expansion, enhancement and quality improvement regarding interventions for the development of innovation and entrepreneurship, among students and graduates of the National University of Athens. Scientific Responsible for the Unit of Innovation and Entrepreneurship is Professor P.E. Petrakis. The Unit of Innovation and Entrepreneurship of the National and Kapodistrian University of Athens organizes every year the Business Plans Contest. The aim is to promote the best business plans -students and graduates of the University of Athens, focusing on Innovation and Technology. P. Petrakis, P. Kostis (2013) “The Effects of Cultural Background, and Knowledge Creation and Impact on Self-Employment and Entry Density Rates”, Review of Economics and Finance, Vol 3, No 2. P. Petrakis, D. Valsamis (2013) “Entrepreneurship, Transaction Costs and Cultural Background”, International Business Research, Vol. 6, No. 5. P. Petrakis (2012) “The Construction of Opportunity Entrepreneurship Function”, International Entrepreneurship and Management Journal, DOI 10.1007/s11365-012-0241-4 . P. Petrakis, P. Kostis (2012) “Τhe Role of Knowledge and Trust in SMEs”, Journal of the Knowledge Economy, DOI: 10.1007/s13132-012-0115-6. P. Petrakis, D. Valsamis, M. S. Katsaiti (2011) “Discrepancies in Financial Performance between Domestic and Foreign Owned Enterprises: The case of Greece”, International Journal of Economics and Finance, Vol.3, No.5. P. Petrakis (2012) “Entrepreneurship and Education”, Eurasia Publications, Athens. P. Petrakis, (2011) "University Research, Entrepreneurship and Growth", "Entrepreneurship / Book 2", In Tech, ISBN 979-953-307-861-7. M. Katsaiti, P.E. Petrakis (2011) C. Seralos, “Silver Fashion (Griechenland), chapter in the book “Entrepreneurship” by Sacha Kraus, SprinerLink.